Read iPhone text messages on a computer? 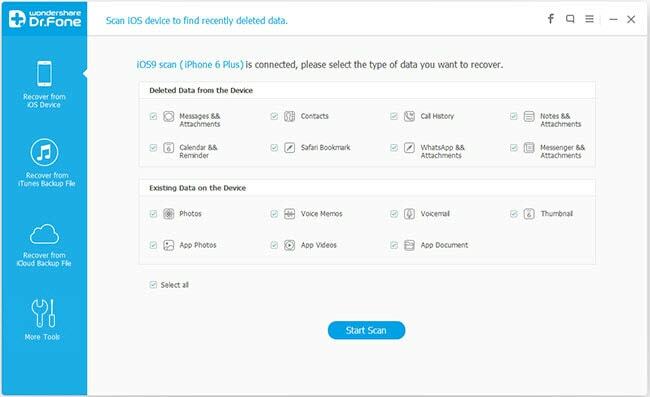 Apple device users know that iTunes can help to back up data on iPhone 5, iPhone 4S, iPhone 4 or iPhone 3GS, etc, and you must also know that the iTunes backup file is unreadable on your computer. Therefore, is it possible to back up text messages from an iPhone so it is readable as a text on the PC or Mac? In fact, the answer is YES. There are two ways. The first one is to extract your iTunes backup to make it readable, and the other way is to make your messages readable directly from your iPhone. 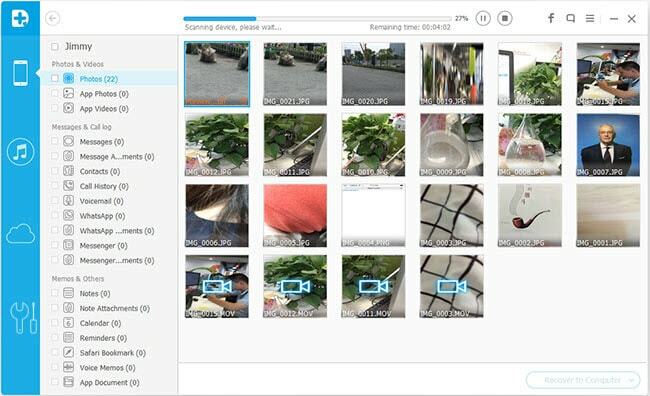 No matter which way you prefer, you need the help from a third-party tool: Wondershare Dr.Fone Mac, or Wondershare Dr.Fone for iOS (Windows). Both software are safe and professional, just try either of them with no worries. Download the free trial version below to have a try. Choose the right version for your computer. 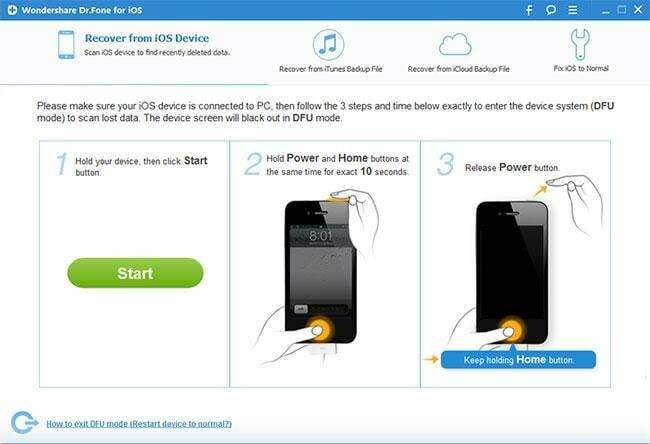 Run the program on your computer after downloading and installing it, and then connect your iPhone to the computer. For iPhone 4/3GS, the main window of the program will be like this. You need to "Download" a plug-in before scanning your iPhone for data on it. If you use iPhone 5/4S, you can directly scan your iPhone by clicking the "Start Scan" button. If you use iPhone 4/3GS, you need to get into your iPhone's scanning mode to scan it. How? It's quite simple. At last, release the "Power" button, and keep the "Home" button pressed. If you've entered the scanning mode, you'll get a window below: the program is scanning your iPhone for data. If not, please try it again. When the scan finishes, a scan result as follow will appear. You can preview all data in it. 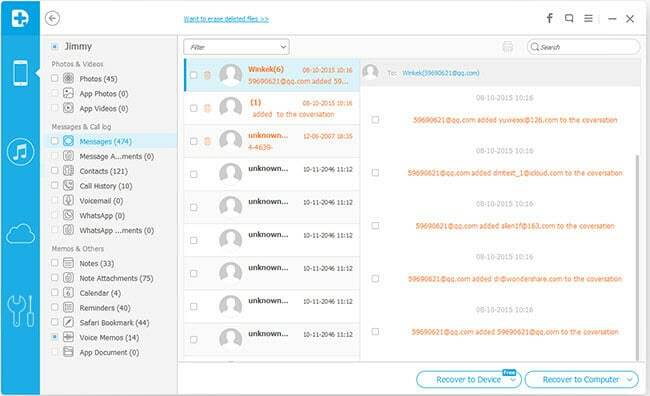 Choose messages and click "Recover" to save them on your computer. The saved file is a kind of HTML file, which allows you to view effortlessly. If you're a Mac user, please download the Mac version of Wondershare Dr.Fone, and take the similar steps as above. You can also view iPhone messages on Mac, in a file of HTML.